1. In a small heavy-based frying pan, place the cumin, cardamom seeds, coriander, cinnamon and cloves. 2. Dry-fry over a low heat, stirring often, until fragrant. 3. Cool the spices and grind finely in a pestle and mortar or electric grinder. 4. 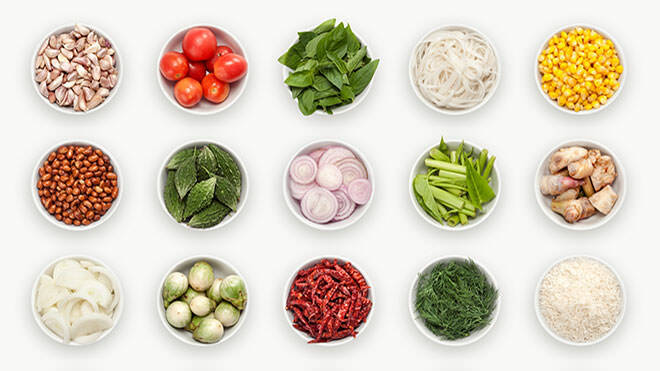 Using either a pestle and mortar or a food processor, grind together the ground spices, shallots, lemon grass, chillies, galangal, coriander roots and stems, lime zest and shrimp paste. Add just enough water to form a spice paste. 5. Heat the oil in a casserole dish. Add the quails and brown on all sides. 6. Add a third of the spice paste (storing the remainder in an airtight container and refrigerating it until required) and fry until fragrant, stirring often and coating the quails well. 7. Add the shiitake mushrooms, pea aubergines, coconut milk and a splash of water. 8. Bring to the boil, reduce the heat and simmer for 10 minutes until the quails are tender and cooked through. 9. Stir in the sugar, lime juice, fish sauce and tamarind water.